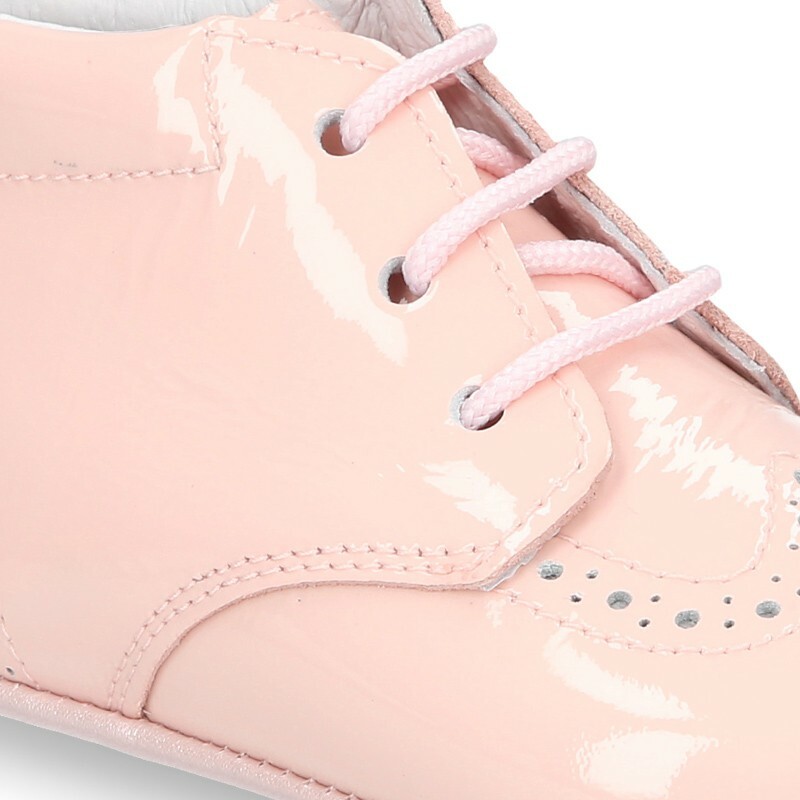 Okaaspain, tienda online de botitas de piel charol con picados y cordones para bebés. 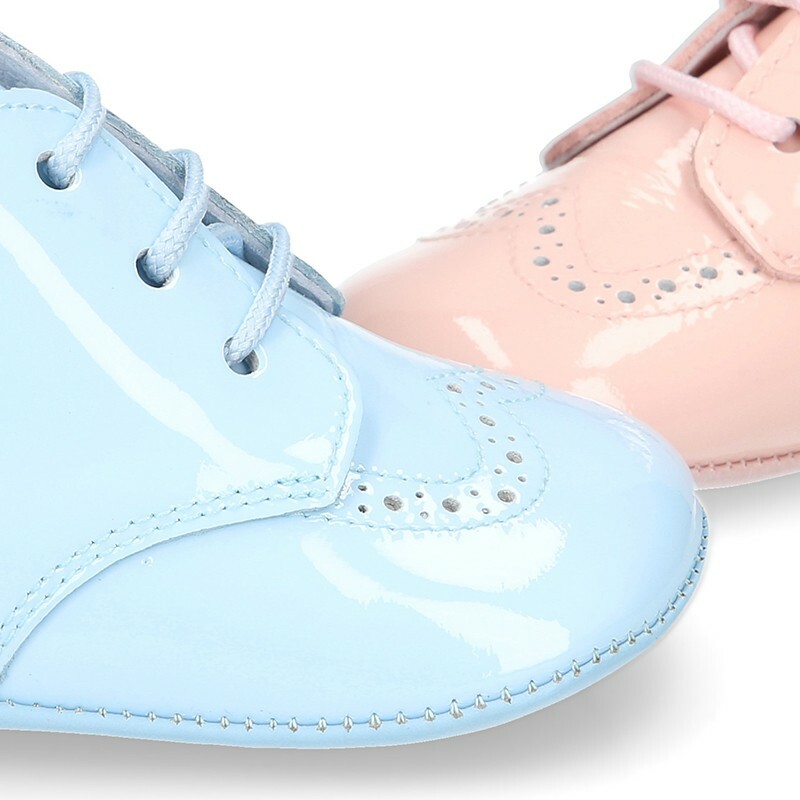 > Babies>Ankle Boots>Little ankle boots for babies with shoelaces closure in patent leather. 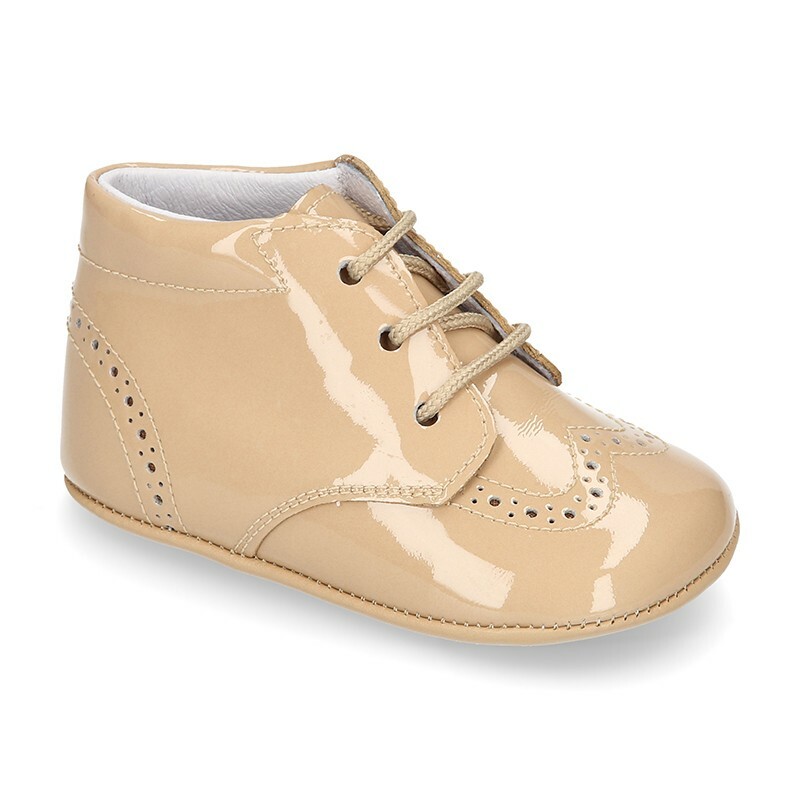 Little ankle boots for babies with shoelaces closure in patent leather. 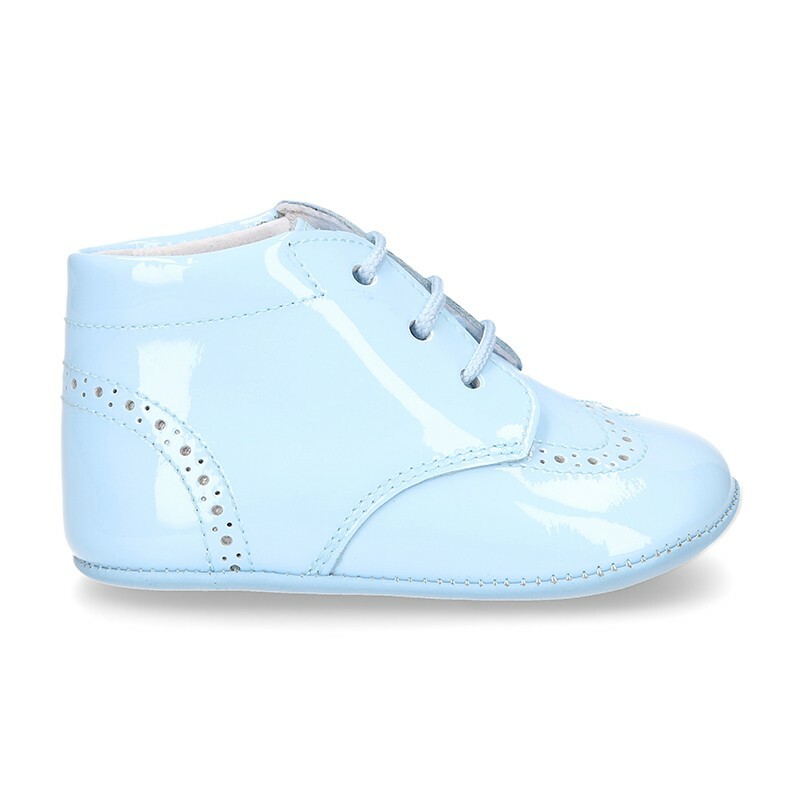 Little classic ankle boot shoes for babies with shoelaces closure in patent leather and in pastel colors. 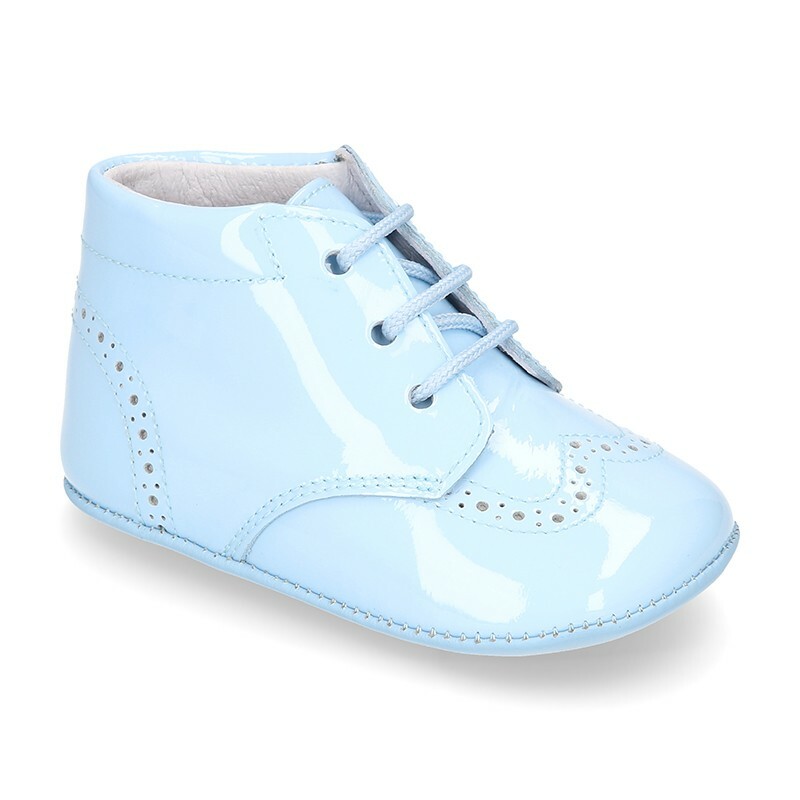 More info about Little ankle boots for babies with shoelaces closure in patent leather. 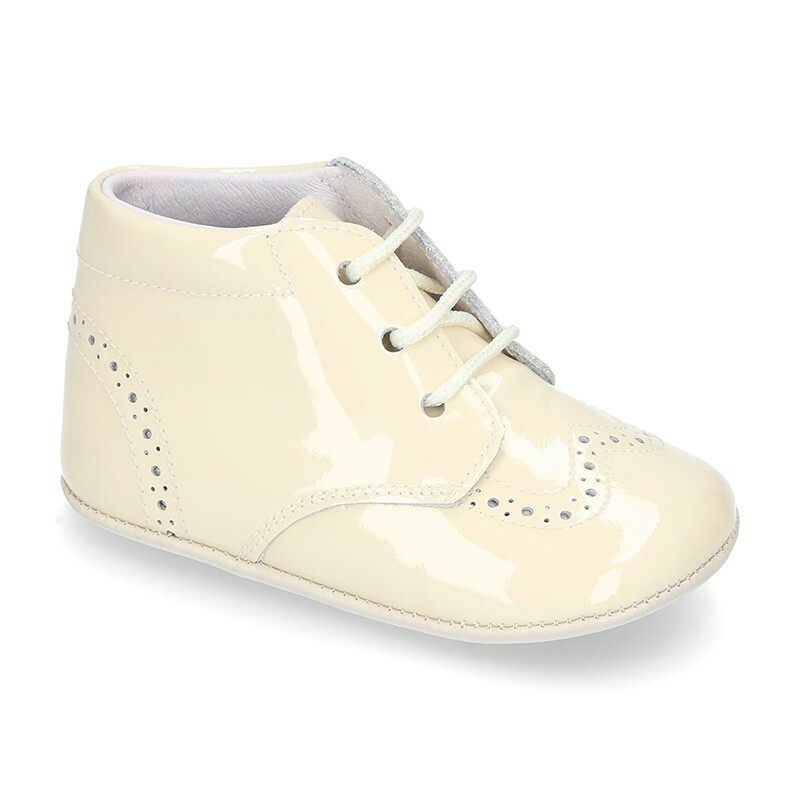 Little classic ankle boot shoes for babies and pre-walkers with closure with shoelaces in soft colors and patent leather. 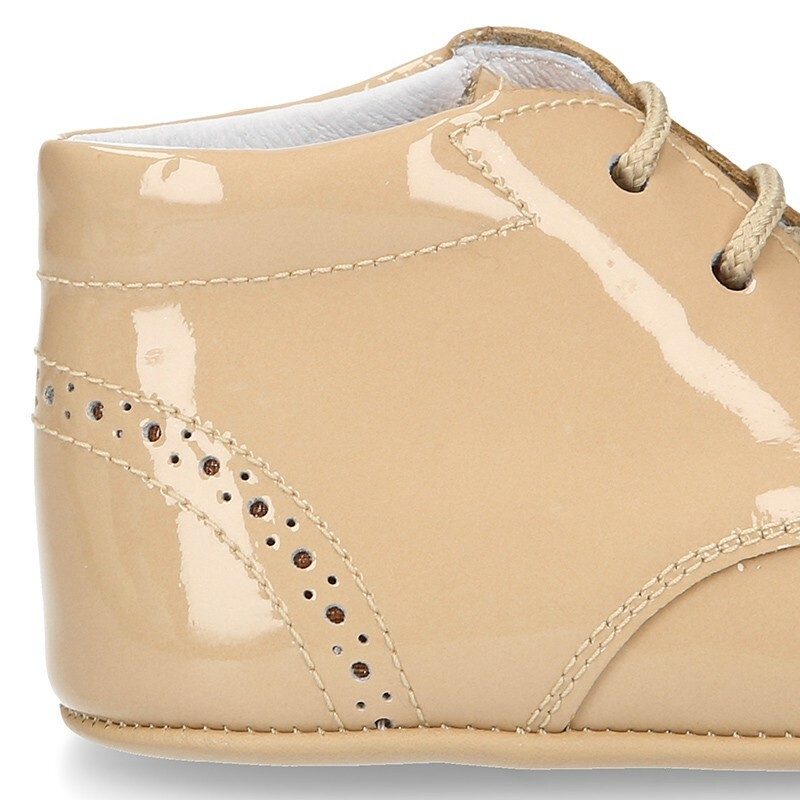 Made up of natural 100% high quality natural nappa leather with patent patent finish. Really smart to dress in any season!. Is a new classic model very classy for any occasion. 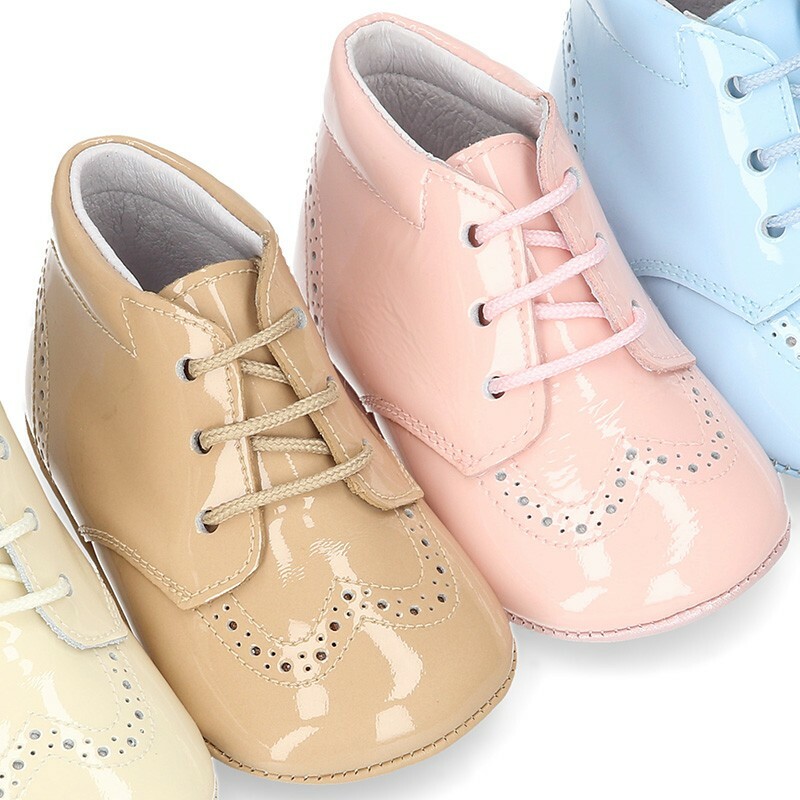 Perfect to combine with all all baby garments. 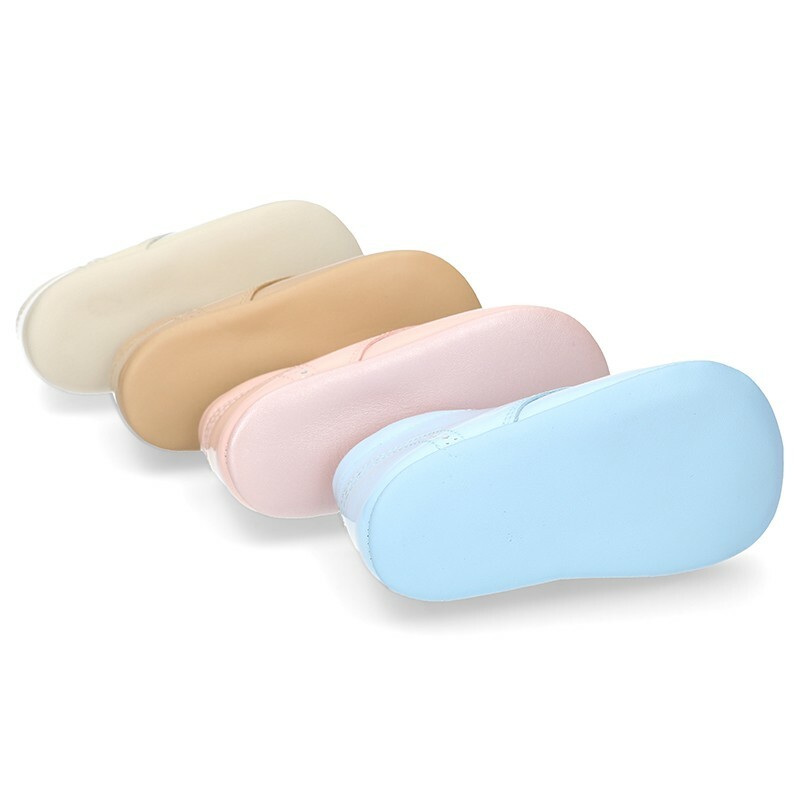 Very fluffy to attain the maximum comfort of their delicate feet, that´s the reason why they are carefully handcrafted. With soft nappa leather soles. Available in 4 colors. Range of sizes: from 17 Euro size up to 20 Euro size. 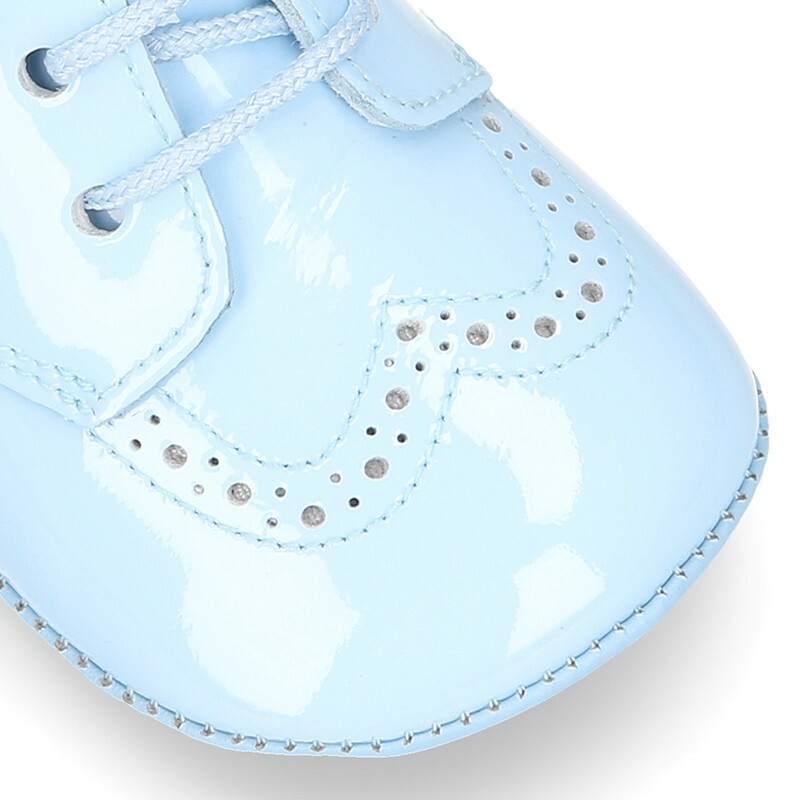 Data sheet about Little ankle boots for babies with shoelaces closure in patent leather. 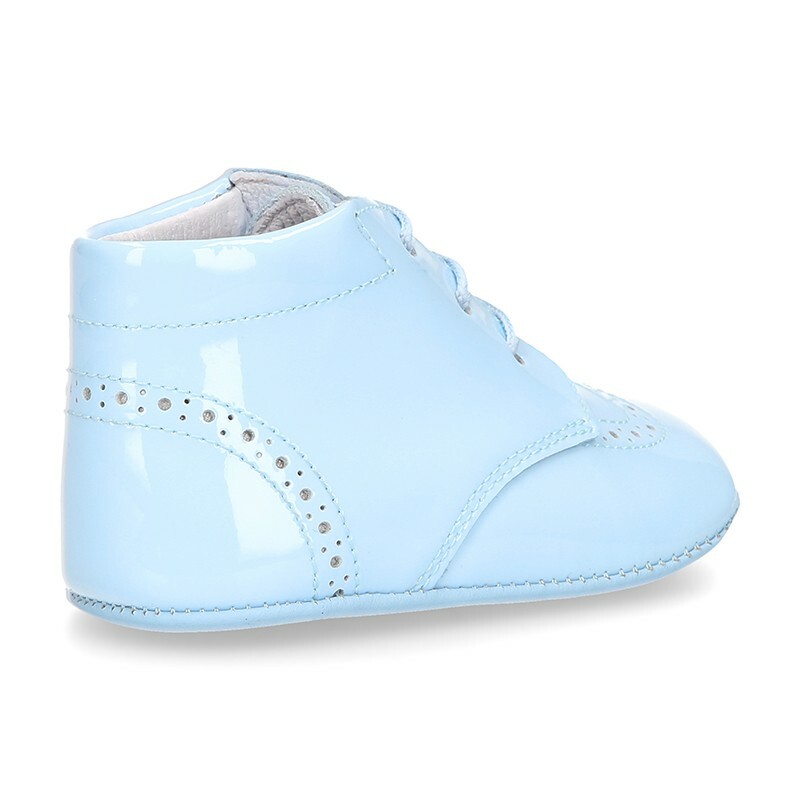 Medidas sobre Little ankle boots for babies with shoelaces closure in patent leather.